Presented at Sesc 24 de Maio, a unit of the Sesc São Paulo network, Lasar Segall: ensaio sobre a cor [Lasar Segall: Essay on Color] is an anthological show centered on the study and experimentation of color as an expressive medium essential to the production of the Lithuanian-Brazilian artist, from a Jewish background. The proposal for a historical and critical review of a key artist for modernism in Brazil and worldwide sprang from a partnership between Sesc SP and Museu Lasar Segall, one year after the celebration of the 50 years since the museum’s founding and the 60th anniversary of the death of Lasar Segall (Vilnius, Lithuania, 1889 – São Paulo, Brazil, 1957). Under the responsibility of historian, critic and curator Maria Alice Milliet, this new research sheds light on the artist’s production in retrospect, organized by themes based on the artist’s plastic and chromatic approaches. 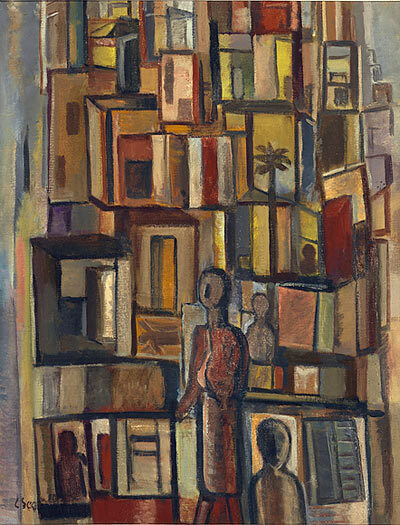 In a contextualized exhibition format, the curatorial platform presents around 100 works, coming from institutional and private collections, including those of the artist’s family, divided into four distinct segments: Anguish (1910–1925), Under the Sign of the Tropics (1920–1935), Intimism and Compassion (1935–1945), and Synthesis and Actualization (1940–1957). While segmenting Segall’s production historically, the definition of the sections by theme also reveals how the artist’s wide range of chromatic treatments throughout the various phases of his career corresponded to the changing circumstances of his life story: since the turbulent years of his life in Germany, near the horrors of World War I, passing through the formation of a modern environment in Brazil, and reaching the period of his recognition of the nature and social reality of this country he chose to live in since 1923. 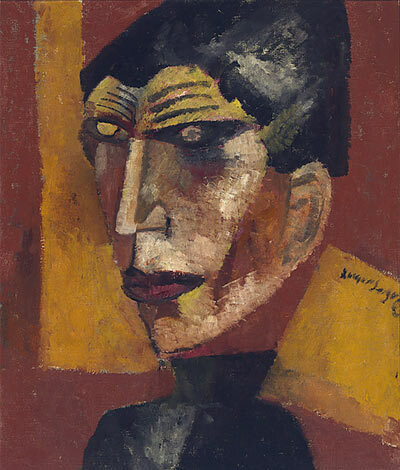 Lasar Segall, an immigrant artist who became one the key figures of Brazilian modernism, began his studies back in Lithuania, later moving to Germany, where he consolidated his training, first in Berlin and later in Dresden. In the latter city, he became established professionally, adopting an adherence to German expressionism in his pictorial work. His later trip back to Vilnius, in 1916, in the midst of World War I, led to a turning point in the artist’s career. As the curator concludes: “from then on, beauty and pain began to coexist in his art, which would have the human condition – nearly always, suffering – as a dominant theme, and color as the foremost expressive medium.” The painter therefore produced an artistic oeuvre with an accentuated chromatic and formal sensibility that established a coexistence between two sources: the repertoire gained in the years of his training in Europe and his process of coming to grips with the context and life in Brazil. 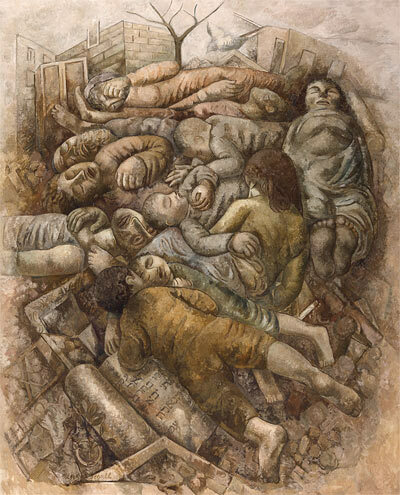 This exhibition also features works by other modern artists who lived together and dialogued with Segall’s production. 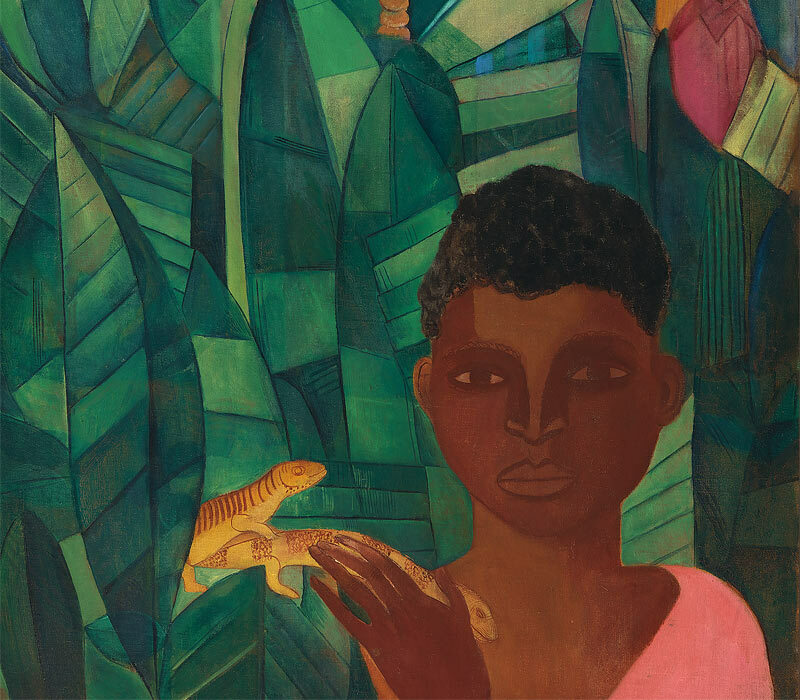 The curatorial approach is thus capped off by works by Brazilian artists such as Anita Malfatti, Tarsila do Amaral, Cândido Portinari and Milton Dacosta, each with a work counterposed to one of the four thematic sections. Despite that the artist’s production was very singular and individualized, its approximation with other painters in each section proposes to put stylistic and cultural interests in consonance, while evincing the similar yearnings and reactions among the artistic community throughout the period of Segall’s activity. Overall, in total keeping with the goals of Sesc São Paulo, the show’s curatorship seeks to enlarge and qualify the critical debate of the history of Brazilian art through a new discursive approach. As in other initiatives of the institution Sesc, here there is a clear interest in raising public awareness concerning art, filling in gaps of a modern and contemporary history that is still little examined and debated in the local public sphere. This show, dedicated to Lasar Segall, is also a bridge to encouraging international debate, collaborating for new historical and geopolitical essays in the visual arts. From press information. © Image Top: Detail from "Menino com lagartixas, 1924" Lasar Segall, photo by Jorge Bastos.